Why do we celebrate National Philanthropy Day? 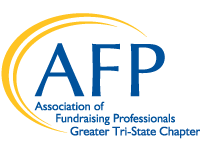 Copyright 2018 Association of Fundraising Professionals Greater Tri-State Chapter, IA. All rights reserved.